This Coachmen Apex Nano model makes camping more enjoyable for your whole family. 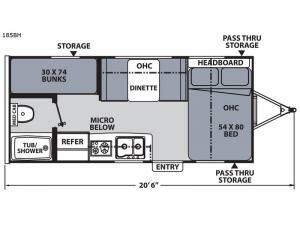 Model 185BH offers sleeping for five with the rear bunks for the kids, a double bed in the front for the parents, and a booth dinette for your friend. The rear corner bath allows you the convenience of getting cleaned up after a fun day outside without having to use the public facilities. 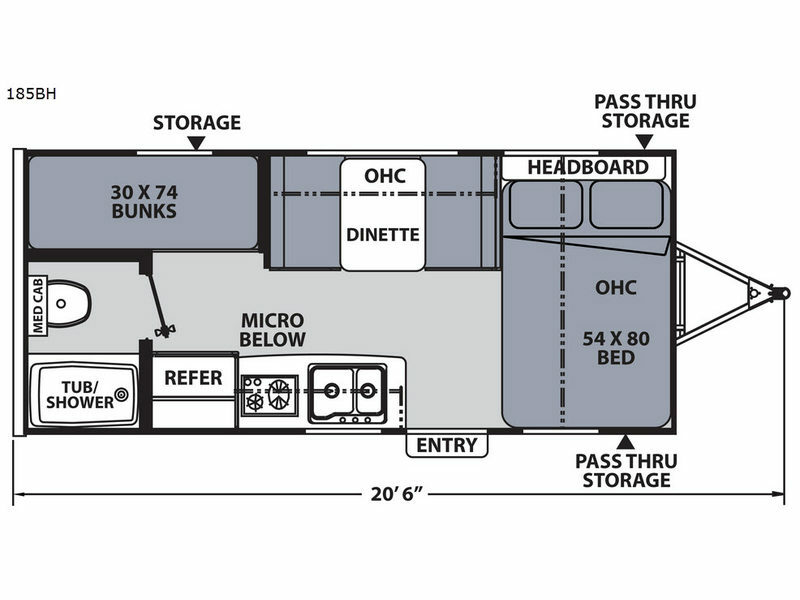 There is plenty of storage throughout on the interior along with a front exterior pass-through compartment that is accessible from either side. Choose this model today!